While there's no Splinter Cell game in the works right now, Ubisoft says that it may be close to making a deal for one. Ubisoft had a pretty good E3. It showed off Skull & Bones, Assassin's Creed: Origins, Far Cry 5, and Beyond Good & Evil 2, just to name a few. But despite all the games that were shown off in LA, there was one franchise that many people were hoping to see that never raised its head: Splinter Cell. Lest you think the series is dead, Ubisoft has said that while there may not be a game in the works right now, that could change in the near future. Ubi CEO Yves Guillemot did an internal interview during the show two weeks back that the company just posted yesterday. In that interview, he was asked about the Splinter Cell franchise, and his answer may hold some hope for its fans. "We are receiving lots of sketches and proposals around the brand, and we're going to pick one up. I think you will be able to see something, but you will have to wait for that." His remarks are even more interesting when you consider that in a recent Reddit AMA, Guillemot said, "Splinter Cell is a brand we talk about a lot. It's also personally one of my favorite series. We don't have anything specific to share at the moment but teams are working on different things, so stay tuned for more." You can watch the whole five-and-a-half minute interview below. We haven't seen a game in the series since 2013's Splinter Cell Blacklist, but it sounds like one could be in the works soon. 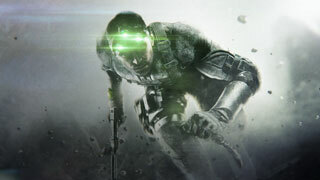 We'll keep you posted if any interesting news pops up about Splinter Cell.